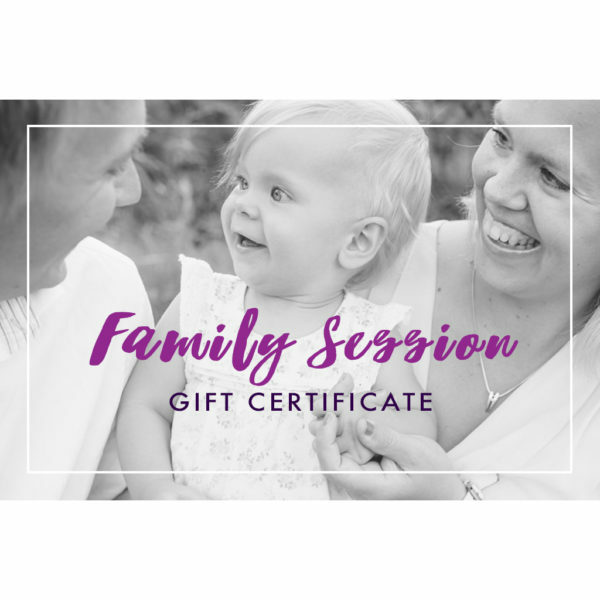 Gift certificate for a family photo session. The gift certificate is valid for one year after the date of purchase. A travel fee is added to the final invoice if the photo shoot is taking place outside the area of Stockholm-Uppsala-Norrtälje.